The heat of summer often leads anglers to think that the fish catching can really go in the tank! Not so fast. 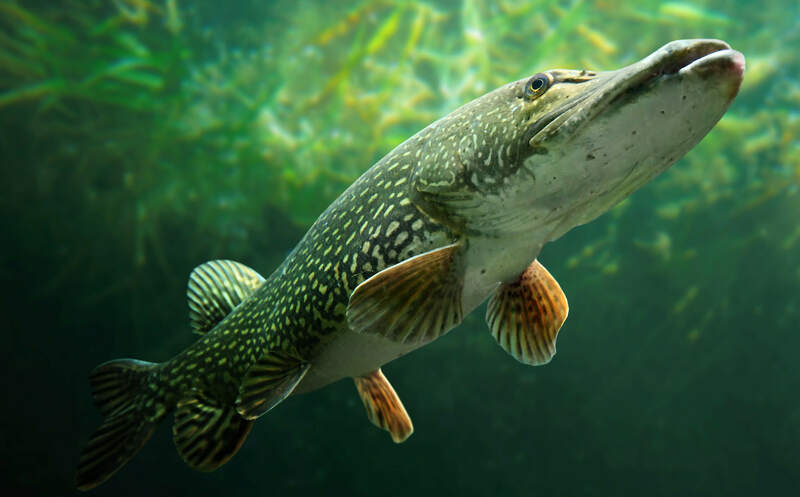 On the natural lakes that I fish here in northwest Iowa, the heat of summer only means one thing to me when I am targeting northern pike…weeds, weeds, weeds. And why not? The weeds provide shade, oxygen and a hideout for baitfish and smaller game fish. That’s the perfect place for Mr. Pike to ambush his victims! This time of year, though, it’s a good idea to change presentation strategies. I’m not going to use live bait and a bobber. No, it’s time to get those pike to reaction bite by either casting or trolling stick baits and crankbaits. Let me tell you, when a pike smacks one of these, it’s time to hold on. 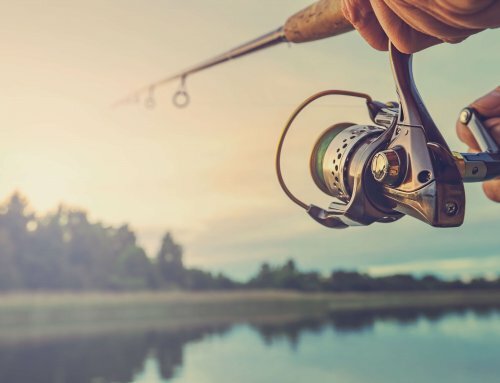 If you are trolling, have that rod in your hand or the rod holder; don’t just let the rod sit along the side of the boat. If you do, there is a good chance that it will be long gone! Depending on the weed depths, you can use a shallow water version and work top water, or you can go to an X-Rap that dives down a few feet and even to an X-Rap Magnum that can reach 30 feet down. Casting these baits takes a lot of arm action, so you need to have a rod with a good backbone, yet a sensitive tip. A rod like this will make the casting easier. It’s your choice to match with a good baitcasting or spinning reel. At my age, though, casting has a real negative affect on my shoulder and elbow. A couple of hours and I’m ready to do something else. That’s why I have gone more to trolling. Not only is it easier on the arm, but it is also a great way to cover a lot of ground. Since you will be trying to trigger reaction bites, trolling is a great way to go. The type of water you are fishing will determine what depth you will want to run your bait. It takes some experimenting to fine tune how much line to let out, the depth of the bait and the speed you will be going. For me, the two lakes I target here in northwest Iowa are Big Spirit Lake and West Lake Okoboji. Both have shallow water bays with weeds that reach the surface, but they also have deep weedlines where you can change to deeper running baits. Of course, weedbeds and weedlines never run a straight line, so using your electronics to set up a trolling run is definitely necessary. You can either do a pre-trolling run to set up icons on your electronics or just use the travel trail on your screen that shows you the path of the boat’s movement. Either way, with a little tweaking, you will be able to establish your run at whatever depth you want. On West Okoboji, I will often find good weedlines in 20+ feet of water, so I will target my run to be where the weeds are down about halfway. I’ll then run a bait that goes at 6-8 feet below the surface. If that doesn’t work and I get no strikes, I will drop off to the edge of the weeds into 20+ feet of water and go with a deeper diving bait. 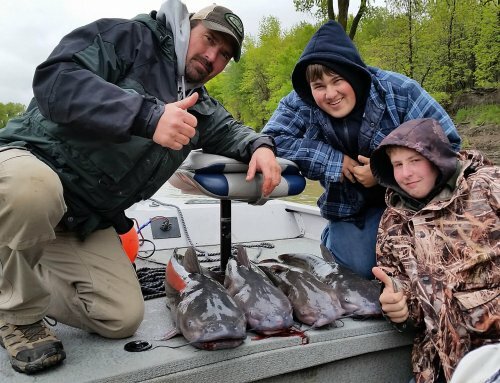 If I want to use multiple lines, I will then go to an Off-Shore planer board out each side – one might be set for 20 feet and on the other side of the boat, I might have a bait set to go eight feet down just over the weeds. I can then run a third rod straight out the back of the boat. As for speed, again it’s about fine-tuning. As an old walleye fisherman, I’m used to going anywhere from 1-2.5 mph. 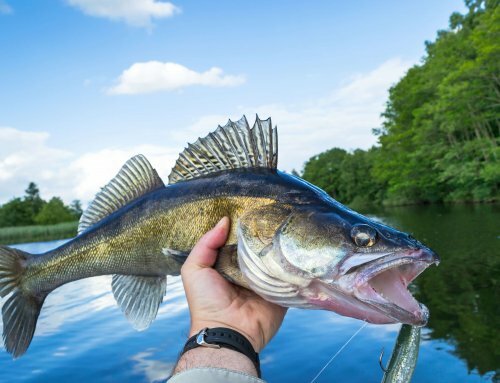 However, speed trolling for pike can start at 2.5 and even go up to 4, maybe even 5 mph depending on if the bait is a deep diving bait that can handle that type of speed. Again, this is about a reaction strike! Remember that pike do not have to be buried in the weeds. They are both ambushers and cruisers. 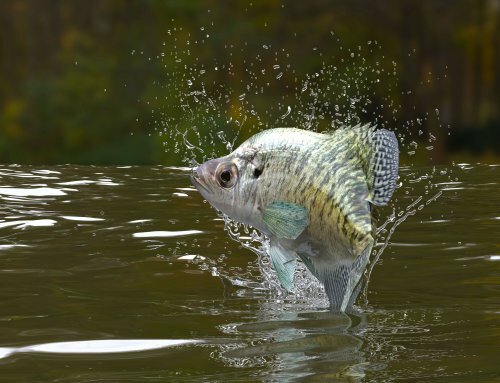 There are times, when the weeds are adjacent to a nice dropoff, and the pike will be following suspended baitfish off the weeds over the dropoff or table. One final thought. Expect other fish to take the X-Rap. 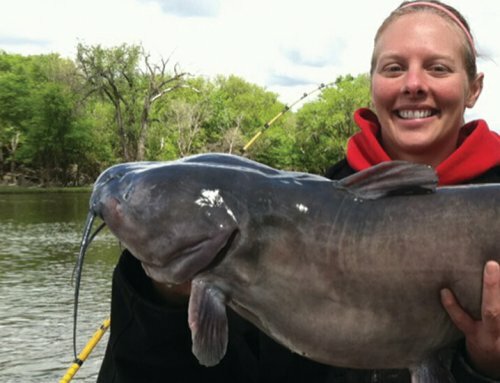 Walleyes, smallmouth and largemouth bass are all possibilities. That’s what makes this really fun. You never know what will hit!